Do you have a heart for older people? Become a certified home health aide in NJ! Why become a CHHA in New Jersey? Are you searching for a meaningful career or second career? Do you enjoy the company of older people? 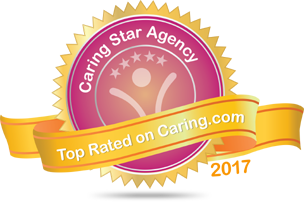 Are you a dependable, caring, compassionate person? Becoming a Certified Home Health Aide may be the career for you. The job outlook in the elder care industry is extremely positive. As the population ages, home health aide jobs are one of the fastest-growing in the nation; the job growth is expected to be about 70% within by 2020 (visit http://bit.ly/1d8poZT). With a career in home health care, you’ll always be in demand! Becoming a certified home health aide isn’t a long, drawn out process. In as little as 76 hours (60 hours of classroom instruction along with 16 hours of clinical instruction), you can become certified in New Jersey. Compared to many other certifications or degrees, the cost is quite reasonable. Most courses are between $500-$1000. Click our list of CHHA schools in New Jersey which offer home health aide certification programs. Are you a certified home health aide? Visiting Angels is always recruiting the best in the profession. 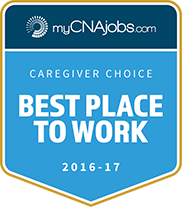 Apply online at www.njseniorcare.com/jobs today!